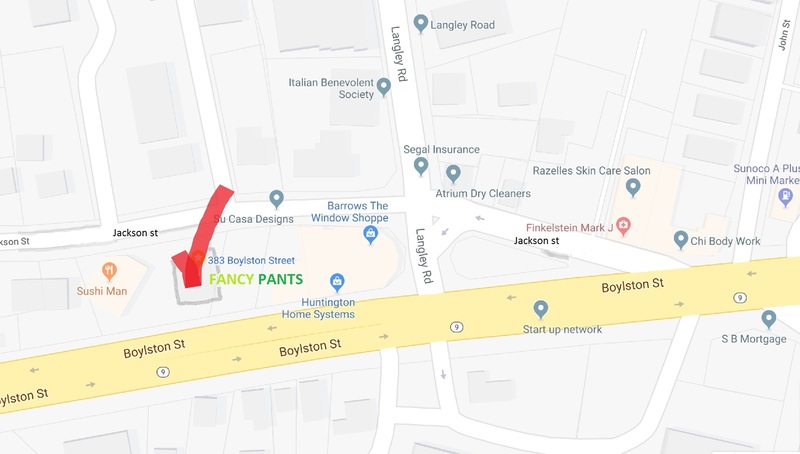 Fancy Pants is relocating to new amazing space at 383 Boylston Street Newton, MA 02459, after Chestnut hill mall(west)on the Outbound side of Route 9. We are minutes from old location. Now you can enjoy front, side and back of Jackson street parking. WOW!